Many readers already know that Thom Yorke didn’t like Spotify after his new band, Atoms For Peace, withheld its music from the Spotify freemium streaming service, as well as all other on-demand subscriptions. But his most recent quote about Spotify, as harvested by The Guardian from the Mexican website Sopitas, leaves even less room for ambiguity. Yorke called Spotify “the last desperate fart of a dying corpse,” by which he means the “old industry,” meaning the traditional, major label-run music business. He contrasts this with the direct-to-fan sales of Radiohead’s In Rainbows album (which was likely possible, as many have claimed, because a major label had already promoted and supported the band for many years). For most artists who withhold their music from Spotify and other on-demand streaming services, their main objection that these services pay artists and labels very little per stream. Even though the access model should eventually improve culture, these artists are right that musicians continue to be in a tough spot when it comes to getting paid for their recordings, including on Spotify. On-demand streaming definitely pays out more money than piracy, which is sort of the whole reasoning behind the freemium Spotify — better to get people hearing ads and possibly subscribing than to just let them download everything on Napster or something like it. But until many millions more people subscribe, on-demand streaming will continue to pay out less than artists and labels made during the halcyon days of the compact disc. Do you know which on-demand services pays less than Spotify per stream, and doesn’t even include a premium version for people who might be willing to pay (although there have been weird rumblings about that)? YouTube. And Thom Yorke’s Atoms for Peace music is all over that on-demand music service, including in the above video, which includes the entire Atoms For Peace album. XL Recordings, Atoms for Peace’s label, has official versions up there as well. The last time we ran the calculations, the musical force of nature Psy (remember him?) made about a third of a cent per view from his monetized music on YouTube. Spotify’s payouts depend on a lot of things, including the contract a label has with the company — and for sure, things get a little complicated there because the larger labels actually own part of Spotify, and so might be willing to accept lower per-song payouts in return for money they might eventually receive from Spotify becoming profitable. Radiohead producer Nigel Goodrich has himself pointed this out. Nonetheless, one recent estimate put Spotify payouts to one artist at .4 cents per song. In other words, regardless of who owns it, Spotify pays out more than YouTube. The two numbers are closer than one might imagine, considering that over six million people pay for Spotify, and nobody pays for YouTube, but there they are. As such, low per-stream payouts can’t be the reason, or at least the only reason, why Thom Yorke hates Spotify. After all, he accepts a lower rate from YouTube. Is it just that major labels own part of Spotify that bothers him, while YouTube is simply owned by Google, a massive multinational that dwarfs all of the major labels combined in terms of revenue, reach, and just about any other business metric? It’s possible. 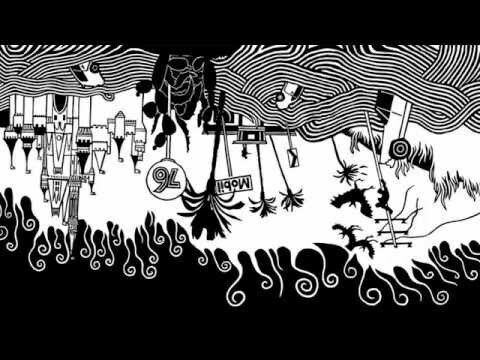 All we know for sure is that YouTube, a free on-demand music service, has Atoms For Peace on it, even though it pays out less than Spotify, which Atoms For Peace is boycotting. Spotify chooses to pay musicians less, without the musicians or people knowing. YouTube doesn’t pay much to anyone, and everyone knows this, even the musicians uploading their music. This is the difference.